I’ve dedicated a lot of articles to valuation and explained in great detail why your startup isn’t worth £1M. A few months ago I met a startup who crashed the ceiling with a self valuation of £3M. Yesterday, however, we hit the stars with a startup self valuing at £5M. Now this company does have £40K in the bank, capitalised software of about £60K and around £20K of uncontested patents. They have one customer who they are starting to bill. So they can realistically claim to have a tangible value approaching £125K. This leaves a mind blowing gulf of £4.875M of intangible value. Even Facebook and Google could never have claimed that at similar stages in their evolution. Valuations are getting so ridiculous, I can’t even begin to discuss where they are going wrong. Phrases like “We have 2,000 shares at £1,000 each” roll of the tongue as if that alone made the madness justifiable. Pre-money valuations (discussed in a previous article) are now the default and “accountant approval” seems to be a common affirmation. Nobody is helping these poor people. Help them somebody, I can’t! A colleague has a successful dot com business that has been running for nearly 20 years. The company has significant assets, does multiple millions of pounds of trade per annum, makes good profits every year and has grown year on year for at least 10 years. They are in the process of selling the company for around £6M. This will eventually get knocked down to around £4M after due diligence. You think your startup is worth the same? A previous startup that came to me with a self valuation of £1.5M about a year ago is now looking to raise £20K for 33% equity, meanwhile the two founders are looking for day jobs to pay the rent. This happens so regularly now that I can’t even be bothered to laugh at these situations. 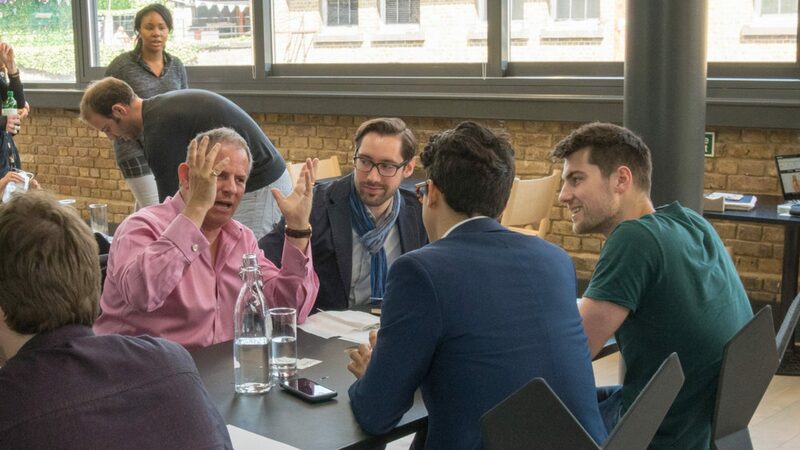 Come on founders, read my blog before you make contact, if you don’t think I’m right, spend a year trying to obtain your bonkers valuation, then when you fail come to me. Don’t come to me first, I can’t take you seriously after your return from failing to secure your multi million pound valuation.